Orlando International Airport is one of the busiest airports in the world. Located just six miles outside of Downtown Orlando, which is one of the busiest cities in the state of Florida, Orlando Airport serves as the main airport for people visiting some of the key touristic areas and attractions of the Sunshine State like the Walt Disney World Resort and Universal Studios Orlando. This airport is the busiest in all of Florida and is actually classed as the 11th busiest airport in the whole of the United States. It's also one of the largest airports you could ever hope to travel for, covering more than 13,000 acres of land. Fortunately, a lot of that space is put to good use in order to make the experience of traveling to and from this airport as pleasant as possible for every passenger. For example, Orlando Airport is absolutely filled with shops and dining options. There are dozens of places to eat all around this airport. Whether you're looking for something simple and casual like a fast food burger or something a little more refined with a full sit-down, three-course meal, you can find here, with several great cafes and bars also dotted around. Read on to learn all about the best restaurants at Orlando Airport. The Main Terminal at Orlando Airport has a huge Food Court area with a lot of different dining options, and everyone will have their own personal favorites, but Chick-Fil-A definitely ranks as a timeless classic that always serves up some tasty treats. Open from 5 in the mornings until 10 in the evenings, the Chick-Fil-A at Orlando Airport is a great location for people looking for something quick, affordable, and satisfying. The Hemisphere Restaurant is actually one of the three dining options offered at Orlando Airport's Hyatt hotel. Open all day of the work with varying hours depending on the day, Hemisphere offers much more than a typical airport eatery. Usually, you expect to find fast food and casual fare at airports, but Hemisphere is a full gourmet location with very classy food and a beautiful setting, so it's a nice option if you're looking for a more upscale dining experience while waiting for a flight. There are two Starbucks locations to be found in the Main Terminal at Orlando International Airport, as well as a Starbucks Evenings location over in the East Hall. 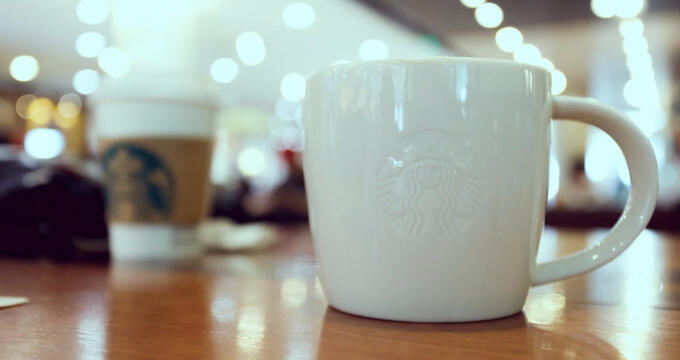 Starbucks is a brand that needs no introduction, but if you're in need of a good quality coffee, refreshing iced tea, or another tasty beverage, this is the place to be. Once you get through the security checkpoints, there are several more diners, cafes, bars, and more to be found in the Airside part of Orlando International Airport. Here are some examples. Open from 7am through to 9pm, On The Border is a great place to grab a snack or enjoy a lengthier meal with all the family while waiting for your flight. This is a Mexican Grill and Cantina location with some delicious Mexican-style dishes being served up all through the day, so if you're in the mood for something spicy, be sure to stop off here. If you're in the mood for something sweet and sugary, Cold Stone Creamery in the Airside Food Court is the place to be. You'll find a huge range of sweet treats here including ice cream, cakes, yogurts, sorbets, and more. If you're feeling nervous about the flight or are traveling with kids, there's nothing more comforting than a big bowl of delicious Cold Stone Creamery ice cream, covered in sprinkles and other fun toppings. Over at Airside 2, Green Leaf's can be found. Friendly staff will be waiting to greet you here any time from 5 in the morning through to 9 in the evenings. Green Leaf's, for the uninitiated, is all about healthy, delicious food. You'll find a nice range of salads here with some super dressings and ingredients, but you can also grab wraps, sandwiches, frozen yogurt, smoothies, and more. If your flight is leaving from the Airside 3 area of Orlando International Airport, you'll find a few great dining options to choose from. There's a Wendy's in this part of the airport and a Manchu Wok, but Ruby Tuesday takes our vote as the best location in the area for its excellent steaks, burgers, desserts, and appetizers. It's the ideal location to spend an hour or so while waiting for your flight. Finally, we come to Airside 4, where you can find a nice range of dining options including an Outback and a Tacos Locos, but the Nathan's is definitely one of the top options here. Often, when traveling at an airport, people just want to eat something quick, easy, and highly satisfying, and that's what Nathan's can provide. There are some super burgers and hot dogs here, and the staff are always friendly too.